The Marketing Group has appointed a new chairman. Don Elgie, the former chief executive of Creston, picks up the role from Jeremy Harbour, who remains a shareholder. Mike McElhatton, a former WPP and Havas executive, is also joining as chief financial officer. Robert Ffitch is stepping down as director of advertising revenues at Telegraph Media Group. Ffitchtook up the role less than a year ago. He was previously the chief executive of Manning Gottlieb OMD. 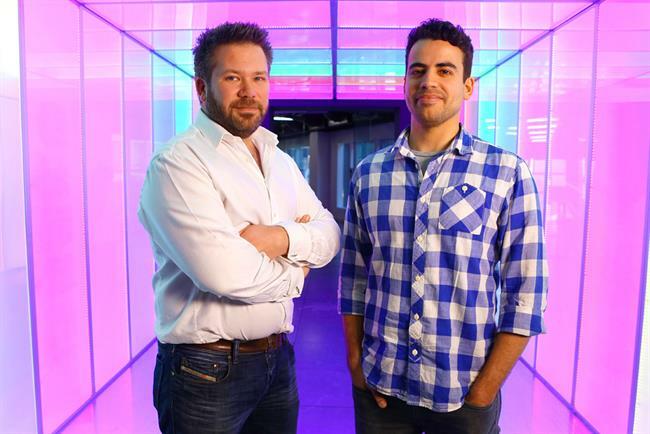 Karmarama has appointed Rob Chandler to the role of strategy lead for data-driven content, and Daniel Prestes as strategy director. They will report to Will Hodge, head of planning. Richard Stainer, the chief executive of TBWA\London, and Amelia Torode, the chief strategy officer, are leaving the agency. The news was announced after it was reported that TBWA had bought a majority stake in independent agency Lucky Generals. Lucky General's founders Helen Calcraft, Andy Nairn and Danny Brooke-Taylor will assist Troy Ruhanen, president and chief executive of TBWA Worldwide, in his search for a new management team. Alistair Campbell, the former creative director at Guardian Labs, has been chosen to lead We Are Social's creative output in London, taking over the role from Graham Jenks. As the agency’s first executive creative director in London, Campbell will report to Jim Coleman, the UK chief executive. Digital Cinema Media has created an events and activations team. Anastasia Takis has been promoted from her role as marketing manager to head up the new team of four. She continues to report to marketing and insight director Zoe Jones. Discovery Networks International has appointed David Fisher to the role of vice president for digital ad sales. He will support the digital transformation already underway at Discovery and report to Jonathan Davies, senior vice president, advertiser partnerships, Eurosport & Discovery Networks International. Digital media company Refinery29 is bolstering its European executive team by hiring Jacqui Kavanagh, the former commercial director of Condé Nast Video, to lead the European sales division. It is also promoting Kirsty Hathaway to the role of executive director, European branded content. New York Bakery Co has named Amy Page head of marketing. Page joined the bagel brand last June as a marketing consultant, and was previously marketing manager at KFC and Taco Bell. She will report to marketing director Tim Barkey. Two new hires have been announced at Weve. Tom Pearman becomes managing director and Martin Weller joins as head of sales. Rob Brown has also been promoted to head of business development. Halifax-based Ink Digital has hired Mark Bower as client services director. Bower founded Coolpink, the integrated marketing agency. Katie Hunt is joining Cubo, the London based agency, as group account director. She will work on campaigns for clients including DMU and Sol Hotels and Resorts.